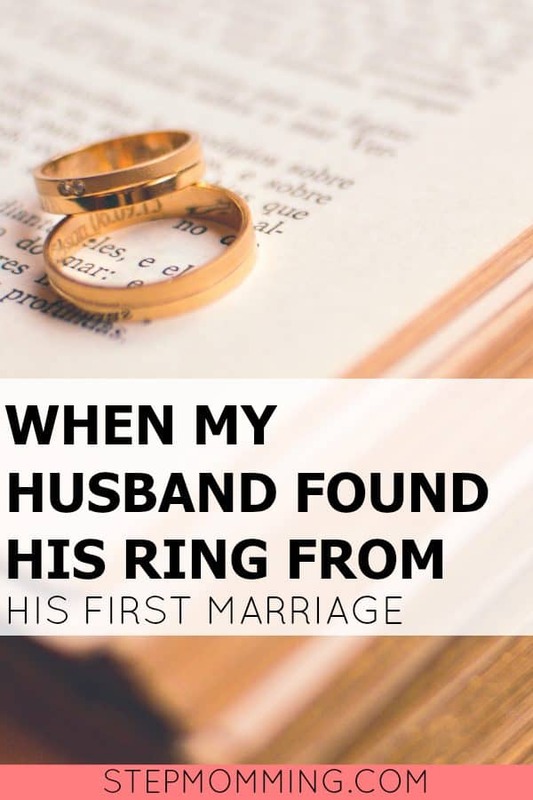 “My Husband Found His First Wedding Ring In Our Basement” originally appeared in The Runner Up Wife and has been reprinted here with permission. My husband found his wedding ring from his first marriage. I was hesitant to share this story at first because it seemed too silly to me that it caught me so off guard. I mean, what are you supposed to do when your husband finds his wedding ring from his first marriage? But, anyway here it goes. So to catch anyone up that is unfamiliar with my blog, I am my husband’s second wife, step mother to two and mom of one. It was the Monday afternoon following the weekend of our wedding. My mission for that day was to pick up wedding decorations, pay vendors, and to move from being a bride to filling the roll of the wife I have wanted to be for SOOOOO long. I mean, I dropped so many hints for so long, it got to the point where when a ring commercial would come on tv, I would sigh so loud to get his attention that it would rattle the window in the living room. There was no shame in my game! My daughter and I were on our way home from picking up all the decorations from the hall when we passed my husband on our street. I thought it was a little strange. Seeing that he was supposed to be at work but I thought he MUST be so excited to be married to me that he had to come home to see me. HAHA That was my story and I was sicking to it! He turned around and pulled into our driveway with a guy from his work. After we unloaded all the decorations I asked him what they were doing before we got home. He was quick to tell me that he was just showing off the new paint job we got on our house. When he came home from work later that day I was unraveling hemp string off of mason jars (as you do). I was rambling on about my day of sorting through decorations and putting them on Facebook to sell. You know, glamorous wife duties. He told me he needed to tell me the real reason he was home earlier. Now he caught my attention. I got that instant hot feeling in the bottom of my chest where I feel like I am about to give birth to my stomach. He sounded nervous, like he was going to tell me something that was about to shake up my world. What was he going to tell me? I mean, we had only been married for two days for crying out loud. He told me that when he was cleaning up the basement he had found his wedding ring from his first marriage. He told his friend from work, who was getting married in a few weeks, that he could have it. I know what kind of reaction he was waiting for. But to my surprise, I was not mad. Not even a little bit. In fact, my first thought was, “Why didn’t he find it earlier and save us on buying a new one?” HA! I am sure he was more surprised at my reaction than I was. He was telling me that he was not keeping it for anything and he did not know it was even down there. Almost like he was reassuring me that it was an accident. Then he realized I was ok about it. Let me tell you, if he would have found the ring a few years ago and told me, this would be a totally different story. I would have instantly been angry with him and the fight would have been on. Even if it was just innocent. At the beginning of out relationship, I spent so much time comparing myself to his ex. I was so insecure about the life that they had together and felt the need to be defensive at any gesture of the time he had with her. I was completely irrational. So, why don’t I feel like that now? The truth is, I am much more confident where my relationship is with my husband. As years have gone by. we have made our own memories and life together. And lets me honest, if he can put up with my crazy shenanigans then he must be a keeper! It does not change the fact that he had a life with someone else before he met me. We have all had a past. Time truly is the greatest gift when it comes to blended families. Everything heals in time. And to be honest, time has given me the opportunity to grow as a person as well. I am also much more confident in myself. I no longer feel like I am not good enough for my husband. Now, I see what he has seen in me all along. Someone who he wants to have a future with. 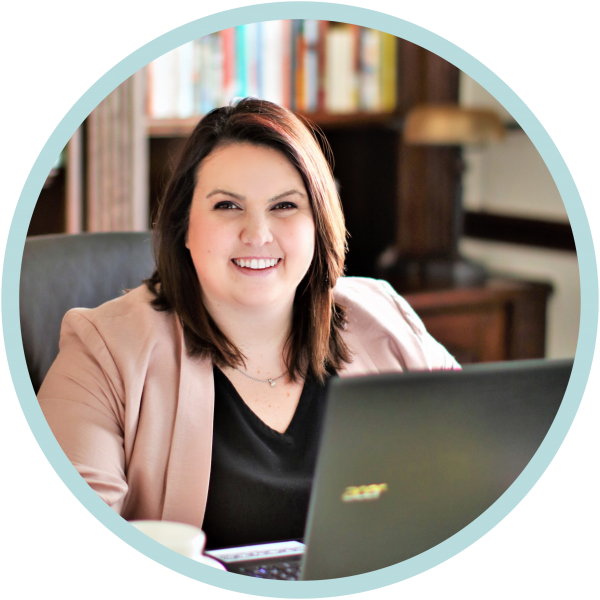 I have followed fellow step mom and second wife, Jamie Scrimgeour, for years now. She is one of the most inspirational step mama’s I have read about and she tells it like it is. You should go check out her site! I was on her site and seen that she had a post about finding her husband’s photo album from his first marriage. Man, did she hit the nail on the head! This post really gave me the encouragement I needed to tell my story. So, thank you Jamie for being so great! I am really glad that my husband found his old wedding ring. It showed me that we have accomplished so much together. What is your biggest accomplishment with your spouse?